Some of you already know me as a Product Creator. In fact I've already had TWO $1k Days from creating Digital Products for other Marketers. Yes, good money. I've taken all My Experience as a Full Time Product Creator and put it in a System that is Plug and Play. This System enables You to Create Premium Products without the blood, sweat, and tears. And all the Traffic Techniques I've learned from Established Marketers are included, too. I've been lucky to work with some of the Most Successful Marketers. And because I create Products for them, they opened the doors for me so that I could look behind the scenes. I learned so much so quickly, and I am thankful for it. If you build Your Own Product, you get paid Again and Again and Again. And I've learned that Big Lesson, if you perform a Service or Build Something for Someone Else, you only get paid Once. With Your Own Product, You Get Paid Month after Month and Year after Year. You never lose the Product. And you can build a very successful business on top of that first product. I designed my System so that You Will Succeed No Matter What. This Guide gives You the Momentum and The Team to bring Your Products to Life Very Quickly. Once You Get Started, You will soon have a Product in Your Hands that is Bringing in Sales and You will be Planning Your Next Product. Take a Chance on Yourself, Invest in You, Get On Top and Be the Leader. Make money when and where you want. So keep the Momentum and click on through. Buy my Product and very soon You will have Your Own. Plus the Traffic and Sales that go along with it. Good Luck and Take Action! 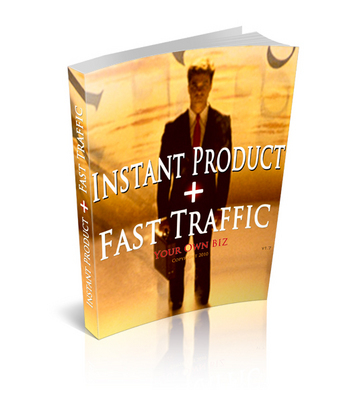 *new* Introducing Traffic Tactics Volume #2 Private Labels Rights Included.